It will be boring and frustrating to work in the tiny kitchen without any counter areas. 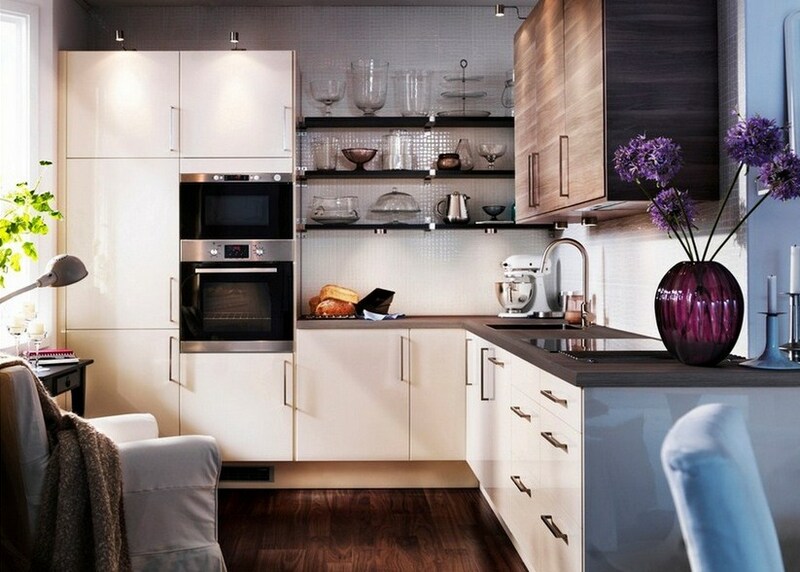 World class interior designers had put forth some of the awesome ideas to create a counter space in the tiny kitchen. Making shelves and compartments for the spices, ketchups and other pantry items, in addition to the utensils and house hold wares. This will create more space in the cooking area. The smart kitchen uses this extended drawers and shelves for creating the counter space. Also use the window sill as a small counter space to grow medicinal herbs utilized for cooking. Similarly, use the large area of window sill for placing kitchen canister, etc. Creating cabinets above the cooking area, frequently used items are shelved closer whereas the underutilized items are shelved above them. By this means of arrangement, less used items and kitchen tools are set aside to create more space also minimize the confusion about the whereabouts of the frequently using items. Shelf stacker is also most frequently used techniques to make more space. In this technique, kitchen waste like vegetable waste is stored in the closed area. Under stacker basket is shelved under the cooking cabinet to collect the coking waste directly to the basket. Dual action by the stove top covers is undergone by placing the suitable wooden plate above the burner covers. The wooden plate is used as a cutting tool for the vegetables. This type of arrangement is done in those kitchens which are provided with tiny space for placing bigger items and lacking space to perform tiny chopping and scrapping. It should be cautious to perform this action to avoid any accidents. Wall shelves can be created above the cooking cabinet without any door to cover them. By this type of additional wall shelves, frequently used utensils, glass wares and kitchen spice jars are kept in the wall shelves. By creating the shelf without any door, it will be easy to see the things it bears with it. Placing peg board in any of the walls of the kitchen will afford to store most of the utensils, mugs and kitchen wares. It is economical to place these kinds of peg board and it is easy to clean and maintain. Most of the tiny kitchens are suppose to hang a peg board on their wall which will be the beneficial idea for tiny kitchen, especially. By using the space above the cabinet, the extra and under used kitchen wares can be stored. Even by placing on this area, the fragile and brittle wares can be detached from frequently used items. However, more attention should be taken while handling these fragile items. Storing the spray bottles under the sink cabinet with the help of the tension rod and also for trash bag storage increase more counter space in the tiny kitchen. 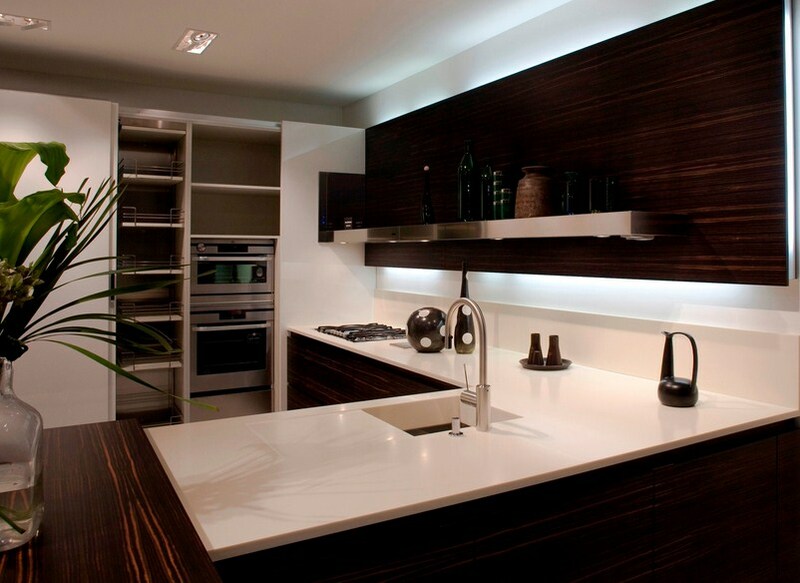 By proper planning and ideas from the world best kitchen designers, the tiny kitchen can offer more space to store.